Professor Anthony Buzzard is one of the most persuasive and energetic voices of our day calling for Christians to pursue reformation and restoration of original Christianity. He brings to us his passion for completion of what he calls the “unfinished work” of the Reformation. Anthony Buzzard is a man of genuine faith whose good heart and humble spirit is valued by many who have been blessed by his writings, teachings, and exhortations. 21st Century Reformation Online is honored to have Anthony Buzzard as a frequent contributor. Professor Buzzard’s “Five Options in Christology” is a wonderful power point presentation evaluating the five prevailing views regarding Jesus Christ and is one of our most watched video presentations. 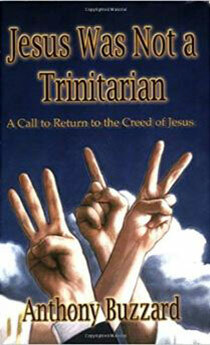 You will find many other writings and features by Anthony on 21st Century Reformation Online. His short book entitled “Who is Jesus – A Pleas for a Return to Belief in Jesus the Messiah,” can be read or downloaded on this website. 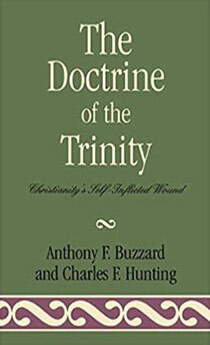 Anthony Buzzard is the author of numerous books including: Jesus Was Not a Trinitarian: a Call to Return to the Creed of Jesus; and The Doctrine of the Trinity: Christianity’s Self Inflicted Wound. Anthony is the author of many theological articles and papers. He is the editor of Focus on the Kingdom and co-editor of A Journal From the Radical Reformation. Retiring after 24 years on the staff of Atlanta Bible College, he continues to write, teach and travel, fulfilling a life-long desire to make the best of Bible scholarship available to the wider church-going public. Anthony Buzzard was born in Surrey, England and educated at Oxford University and later at Bethany Theological Seminary. He holds masters degrees in theology and modern languages, Hon. Ph.D. Anthony came to the United States with his wife Barbara and daughters in 1981.